*BEWARE* There are a lot of scams out there! There are many new “operators” showing up to capitalize on all the free press being given to the mosquito problem. 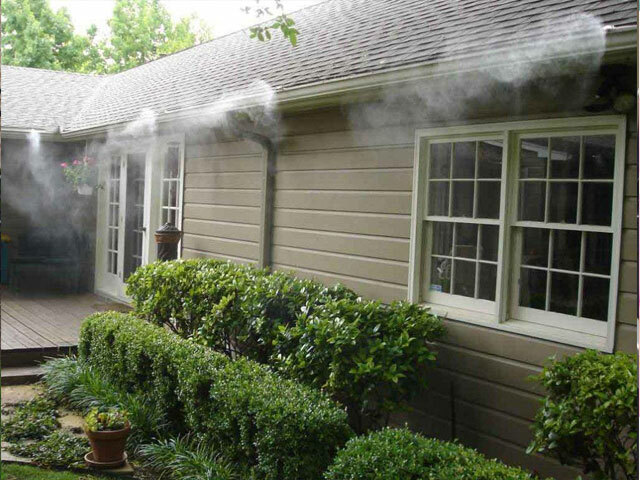 Foggers offer short-term control which ends with a rainstorm or use of sprinklers. If this is understood and acceptable to you, then fogging is a good choice for you. 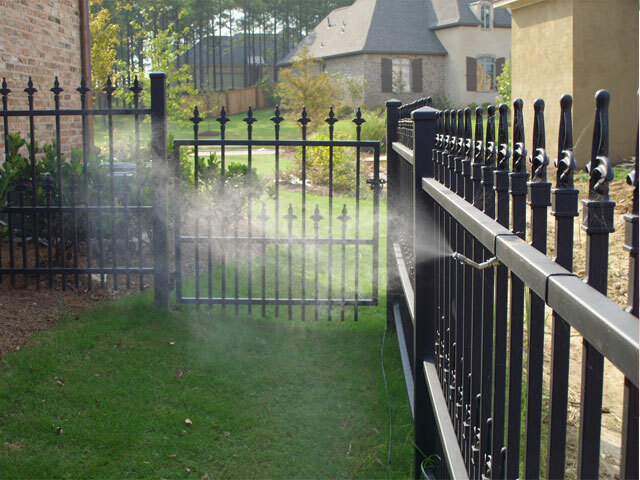 Many sellers and promoters of permanent misting systems thrive on deception and false promises, especially now with all the press coverage of mosquito-borne diseases. Low-ball, give-away pricing of the system, then high priced chemical refills for the on-going profit. Signed contracts that lock you into poor service. Poor or non-existent service after the sale. Diluted chemical that’s ineffective, but highly profitable to them. Promises of a Lifetime Guarantee. This is used to snare customers to build up a customer list to groom the company for sale. Short term company existence – a sure sign that future service may not be available. Unsightly installations by inexperienced installers. 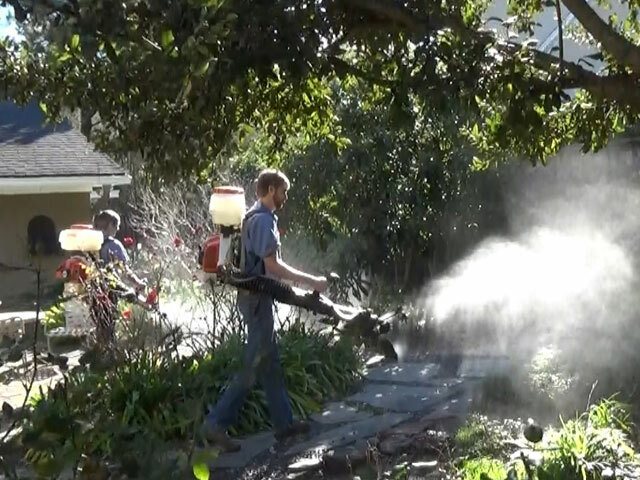 Bug DeFence has been in the mosquito control business for 15 years. 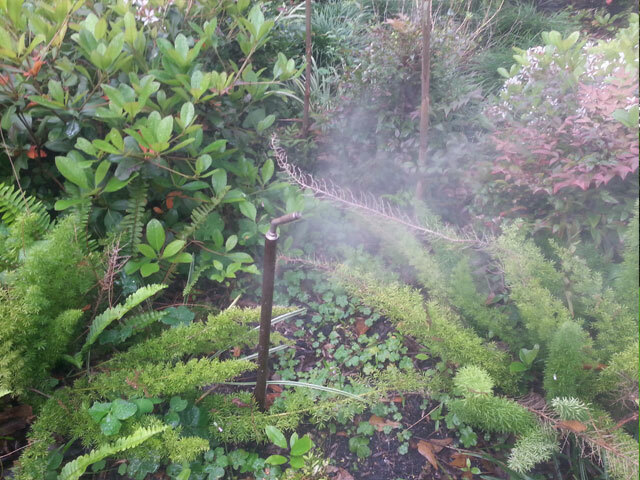 Our parent company has misting systems in 39 countries and has been in business for 40 years! All of the above “Beware” items can be checked as “None-Of-The-Above” for Bug DeFence. We’ve been around a long time and we see what the competition is up to. Your smart (and safe) choice is to work with the professionals at Bug DeFence. And yes, we do offer a 90-day “Satisfaction Guaranteed” AND a promise to match or beat any competitor’s price. Whether you prefer natural or synthetic chemistries, we provide the correct choice to control flying and biting insects. 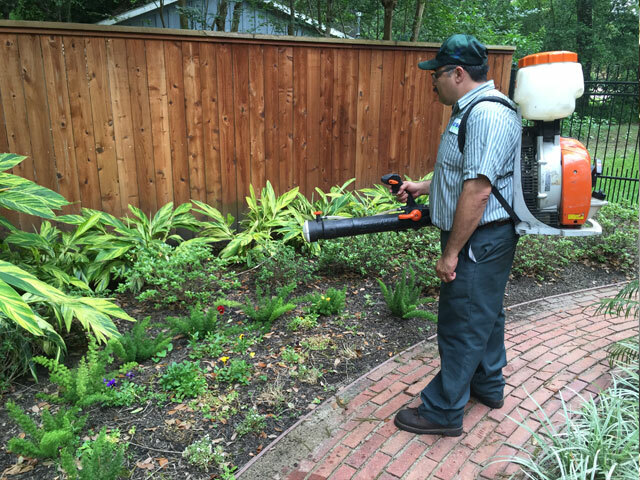 We carry a diversified product choice which includes top tier formulations for pyrethrum, permethrin or our proprietary all natural "green" repellent for use in our automated misting systems. 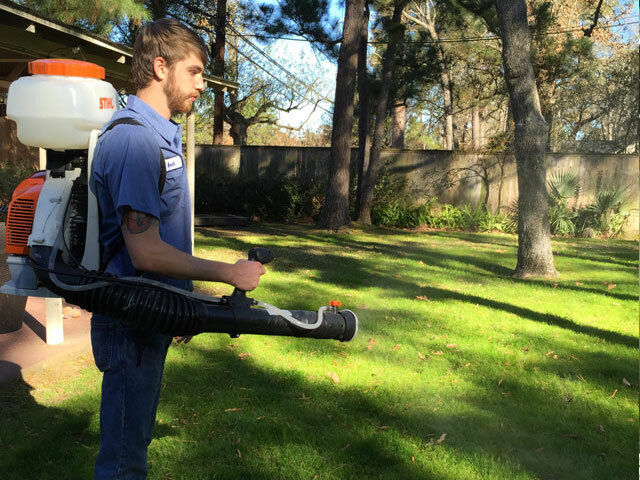 Bug Defence™ provides formulations for both our Home Service Divisions as well as for our pest control professionals. We market and sell only registered or exempt formulations. Permethrin is an insecticide (kills insects) registered with the US EPA and first marketed in 1977. Permethrin falls under the classification of a pyrethroid. It is a synthetic chemical, therefore, it remains effective for longer periods of time then a Pyrethrum. Get rid of mosquitoes quickly and easily. 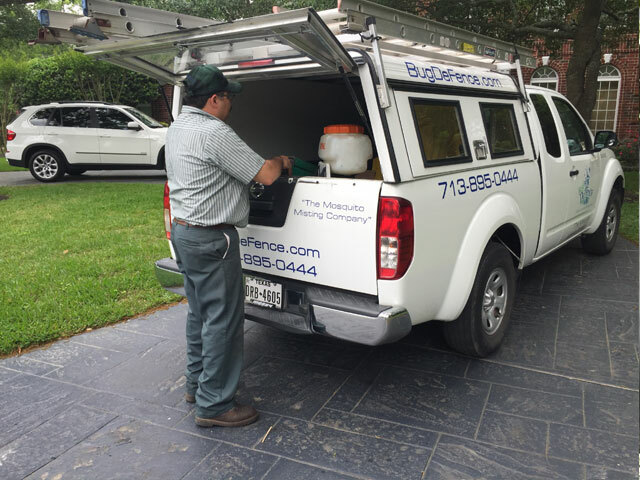 We have been specializing in mosquito control for 14 years now. One key thing about our company is that we manufacture our very own systems here in Houston. We don’t buy system from anyone.